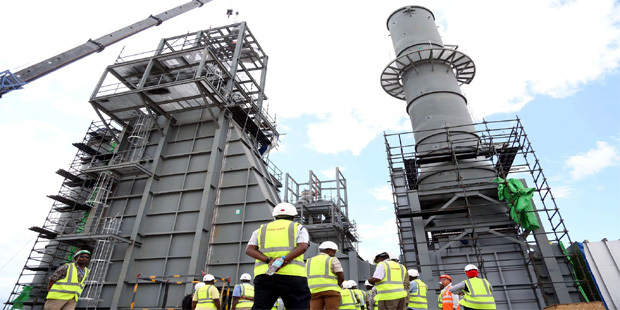 Private producers of natural gas for Tanzania’s domestic market are applauding the state energy firms for timeous payment of their receivables. Canada headquartered Wentworth Resources, a member of the consortium producing Mnazi Bay Concession, reports that “Monthly payments in January and February 2019 for gas sales generated from the concession in aggregate, $3.2 million net to Wentworth, have been received” (as of March 6, 2019. 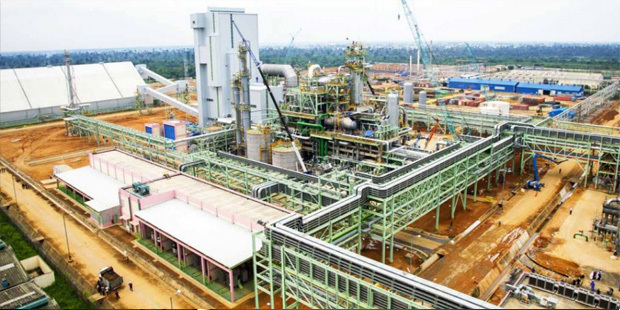 Gas production from the Mnazi Bay concession reaches 80Million standard cubic feet of gas per day at peak and is supplied to state owned power plants and industrial users like Dangote Cement Plant. “These payments are post allocation of the Tanzania Petroleum Development Corporation (“TPDC”) receivable, adjusted to reflect the Ziwani-1 exploration well and associated 3D seismic costs”. Wentworth says that “payments were received from both TPDC and Tanzania Electric Supply Company Limited (TANESCO) and due arrears from both off-takers remain at three months, having steadily reduced during the course of 2018”. As a result of the continued demand and sustainable payment landscape, the Company continues to meet and pay-down its debt commitments from free cash-flow in 2019 and expects to be debt free with the final payment on its single outstanding loan facility falling due in January 2020. Servicing of the $1.2Billion (2.409tri/-) debt procured for the construction of gas pipelines and power plants in the country is the major cause of the three consecutive year loss by Tanzania Petroleum Development Corporation (TPDC). Kapuulya Musomba, acting Managing Director of TPDC, says “the mega investment” made by the government to increase natural gas for electricity generation, after securing the loan from Exim Bank of China supply, is the major reason for the losses. The fluctuation of the Tanzanian shilling against the US dollar to 2230/- per dollar in 2016 from 1600/- in 2013 is also a huge contributing factor to the increased losses, Musomba wrote in reaction to a Parliamentary report. 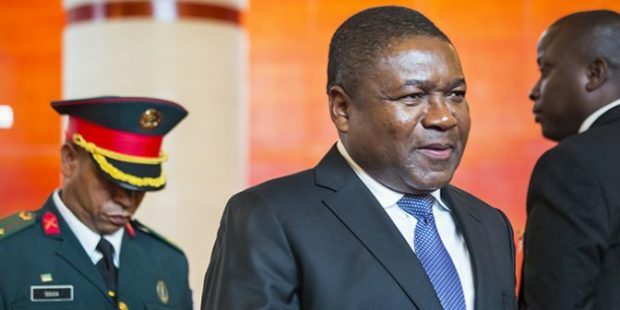 The projects consist of a 542 kilometre pipeline from the country’s natural gas fields in Mnazi Bay, Mtwara Region to Dares Salaam, the commercial centre. The line has the capacity to transport 784 MMscf/d of gas to be used in the production of 3,920 MW of electricity. Also included in the project is the construction of natural gas processing plants at Madimba in Mtwara and SongoSongo Island in Lindi. 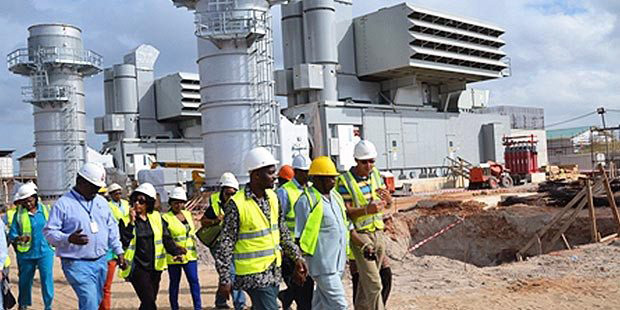 Two power plants at Kinyerezi I and Kinyerezi II with power generation capacities of 150MW and 240MW, respectively, weill be fired by natural gas. Musomba’s statement was responding to a Parliamentary Investment Committee (PIC) listing TPDC among the three loss making public institutions in the country. The mega projects were commissioned in 2015. Musomba said it was impossible to realise profit in a short period of time since project started to operate in 2015. The books recorded $145Million (341Billion/-) loss in the first year of its operations 2015/16,. This pushed up the loan to $72.5Million (170Billion/-) which is equivalent to 50.4% of the total loss recorded in 2016. The payment of $30.3Million (71.05Billion/-) interest on the loan, representing 21%of the total loss registered in 2016 contributed to the mounting losses. /- is the symbol of the Tanzanian currency, the Shilling. There is no single E&P company on the list of the current beneficiaries of the Pioneer Status Incentive of the Nigerian Investment Promotion Commission (NIPC). But the oil and gas industry is not entirely excluded. Three companies, which either use natural gas as feedstock or convert and distribute products of natural gas, are listed among the 21 Beneficiaries of the incentive on the latest report on the NIPC website. They include the Indorama Eleme Fertiliser, which has purportedly invested ₦360Billion on the facility for which it was granted the incentive. Indorama’s status was approved in April 2017 and it is expected to expire in March 2020. The company is located in Rivers State in the eastern Niger Delta. PNG Gas Limited, located in Delta State, had its Pioneer Status approved in September 2017, with an August 2020 expiry date. It has purportedly invested ₦13Billion to produce and market Propane. Lagos based Power Gas Delta Innovations Limited is said to be in “gas manufacture and distribution”, according to the NIPC report. It won the Pioneer status as a result of investment worth ₦8.7Billion. The incentive approval was made in March 2018 and the expiry date is February 2021. Anadarko, the large American independent, will take the Final Investment Decision (FID) on its proposed, two train, 12Million Metric Tonnes Per Annum liquefied natural gas (LNG) project, in Mozambique, next month, which is March 2019. Omar Mitha, Chief Executive Officer of the Mozambican state hydrocarbon company ENH, gave the specific date to a correspondent of Africa Oil+Gas Report, in Lagos, Nigeria. “That’s what we are looking at”, Mitha told us on the side-lines of the West Africa International Petroleum Exhibition and Conference (WAIPEC), held in Lagos, recently. FID for the Anadarko led project, to monetise over 75Trillion cubic feet of natural gas in the Golf-Atinho fields in the deep-waters of the Indian Ocean, has been long in coming. “Anadarko has gone through a steep learning curve to get here”, Mitha said. The resources were first discovered in February 2010. “They (Anadarko) haven’t done this kind of project before”. Anadarko, the first company to encounter commercial sized gas accumulations offshore East Africa, has announced four long term Sales and Purchase Agreements with clients from mostly Asia, in the last 15 months. The latest deal, announced February 15, 2019, involves the sale of 1Million Metric Tonnes a year of LNG for a term of 15 years to India’s Bharat Petroleum. 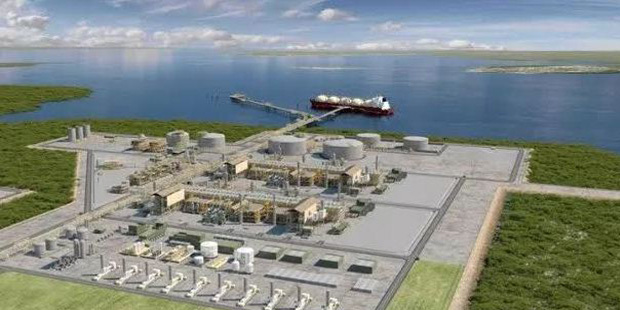 The deal gives the project a total of 8.5Million Metric Tonnes of LNG sales a year in signed contracts, lifting the operator over the 8Million Tonne threshold which the company said it wanted to reach before project sanction. Anadarko leads the LNG project in an acreage named Area 1 with a 26.5% ownership stake. Other owners include ENH with 15%; Japan’s Mitsui Group, 20%; India’s ONGC Videsh, 16%; Bharat, 10% Thailand’s PTT Exploration and Production, 8.5% and Oil India Ltd., 4%. Penspen has announced that it has been awarded a contract by The Office National des Hydrocarbures et des Mines (ONHYM) and the Nigerian National Petroleum Corporation (NNPC) to execute the First Phase of the FEED (FEED Phase I) of approximately 5,700 km gas pipeline proposed to run from Nigeria to Morocco. The award is a follow-up on the feasibility study completed by Penspen in July 2018., the company says. The London headquartered firm claims it is a leading global provider of engineering and project management services to the energy industry, but it doesn’t have a single office in the entire African continent. 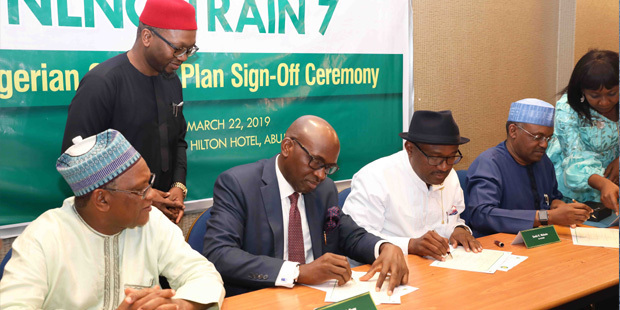 Its announcement comes at a time when there’s still a lot of conversation around the value of the project and questions around why the Nigeria-Algeria pipeline idea was scuppered. Penspen says that the FEED Phase I consists of a detailed review of the feasibility study results and in-depth evaluation of the gas demand and supply study. Further design of the pipeline system, in addition to the execution of an Environmental and Social Impact Assessment (ESIA), will then be carried out with the aim of optimising the proposed pipeline route and project economics. “Penspen will also support the client in marketing and promoting the pipeline project to potential stakeholders showcasing the wider benefits of its development”, the company says..
“At the end of the study, key detailed outcomes will help the client prepare for the second phase of the FEED (FEED Phase II) which is expected to lead to a Final Investment Decision (FID). “Penspen will be utilising the skills and capabilities of Dar Al-Handasah, Crestech and Control Risk to conduct a number of special studies required for the FEED services, environmental impact assessment, Nigeria gas supply study and risk study respectively”. This is a “key milestone enabling the participants to rapidly move toward a final investment decision in 2019 on the first phase of the Rovuma LNG project. Area 4”, ENI says in a release. Participants are ExxonMobil, ENI, the China National Petroleum Corporation, Empresa Nacional de Hidrocarbonetos, Kogas and Galp. “Those commitments are subject to the conclusion of fully-termed agreements, which will be finalized and initialed in the next weeks, with the approval of the Government of Mozambique”, ENI explains. “The Rovuma LNG marketing team has worked at an accelerated pace to reach this important milestone, a tremendous achievement made possible by the strength of the Area 4 co-venture parties and the support of the Government of Mozambique,” adds Peter Clarke, president of ExxonMobil Gas and Power Marketing Company. while ENIwill lead the construction and operation of the upstream facilities. The development plan for the first phase of the Rovuma LNG project specifies the proposed design and construction of two liquefied natural gas trains, which will each produce 7.6Million tons of LNG per year. Mozambique Rovuma Venture is currently holding productive discussions with the Mozambican Government on development plan details. BP has announced the agreement, with its partners, for Final Investment Decision (FID) for Phase 1 of a Floating LNG project in two fields straddling Senegal and Mauritania. It will be the third floating LNG plant offshore Africa, coming after the Perenco operated 2.4MMTPA Hilli Episeyo FLNG, located on the Atlantic offshore Cameroon, which came on stream last June and the ENI operated 3.3MMTPA Coral South FLNG, to be sited on the Indian Ocean offshore Mozambique. Construction of the Coral South Vessel has begun. The FID for BP operated Greater Tortue Ahmeyim development was made following agreement between the Mauritanian and Senegalese governments and partners BP, Kosmos Energy and National Oil Companies Petrosen and SMHPM. 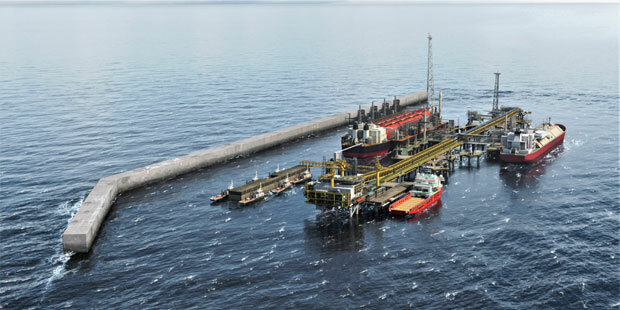 The project will produce gas from an ultra-deepwater subsea system and mid-water floating production, storage and offloading (FPSO) vessel, which will process the gas, removing heavier hydrocarbon components. The gas will then be transferred to a floating liquefied natural gas (FLNG) facility at an innovative nearshore hub located on the Mauritania and Senegal maritime border. The FLNG facility is designed to provide circa 2.5Million tonnes of LNG per annum on average, with the total gas resources in the field estimated to be around 15Trillion cubic feet. The project, the first major gas project to reach FID in the basin, is planned to provide LNG for global export as well as making gas available for domestic use in both Mauritania and Senegal. Delays by one of the two contractors constructing the OB3 Pipeline has ensured that the crucial line will not be completed in 2018. 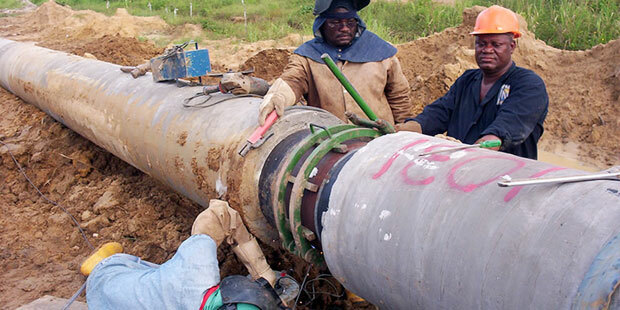 The Oben –Obiafu-Obrikom (OB3) pipeline is Nigeria’s largest gas transmission pipeline and its completion will create the first semblance of a gas grid in the country. It will ferry gas from the huge reservoirs in Rivers State, in eastern Nigeria, to the industrial markets in the West of the country. The pipeline, being constructed by the Nigerian government, will have the capacity to pump Two Billion standard cubic feet of gas a day. The EPC contract was awarded by the Nigerian cabinet of Ministers (Federal Executive Council) in the third quarter of 2012, to Messrs Nestoil Limited (Lot A) and Oilserv Limited (Lot B). Lot A involves the EPC of 64.15km x 48” Class 600 gas pipeline and Custody Transfer Metering Station at Obiafu/Obrikom in Rivers State. Lot B involves the EPC of 47.13km x 48” & 18km x 36” Intermediate Pigging Station and Gas Treatment Plant at Oben, Edo State. Contractual project completion date for both Lots is 31st July, 2018. But whereas Lot B (OILSERV) is mechanically finished, Lot A (Nestoil) is stagnant. There are contractor issues with Lot A and the project is stalemated.